A fantastic submission to our “Made of Imagination” project courtesy of Cara Stewart, Austin, Texas. She created 3 really unique instruments! 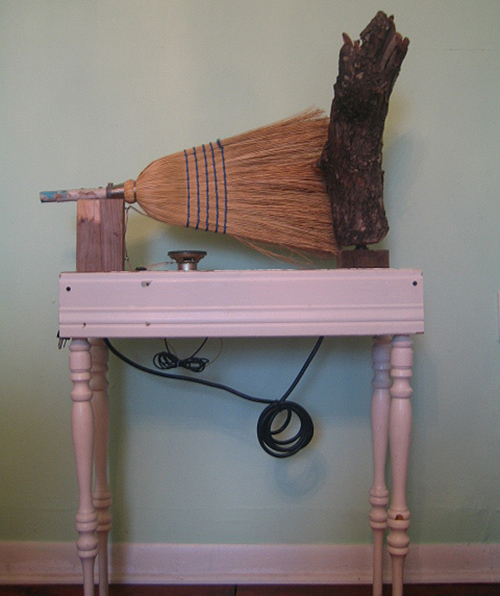 This first one is called “Phonograph” and she built it using a broom head, log, contact mics, amplifyer, speaker, and wooden table. See her other instruments below! 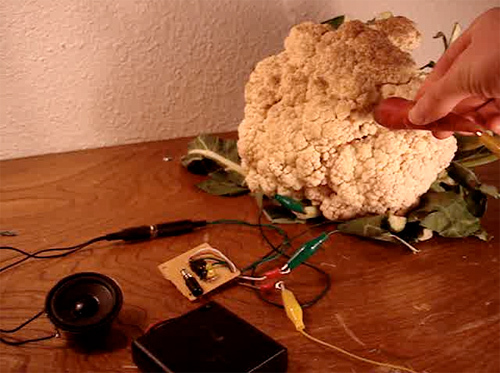 Materials: Resistance based noise circuit, speaker, alligator clips, cauliflower, carrot. Description: The electrical resistance between the player, holding one end of the circuit, and the vegetable attached to the other end produces a variety of blips, whines and other electronic sounds. Materials: Typewriter, guitar strings, electronic pickup, amp. 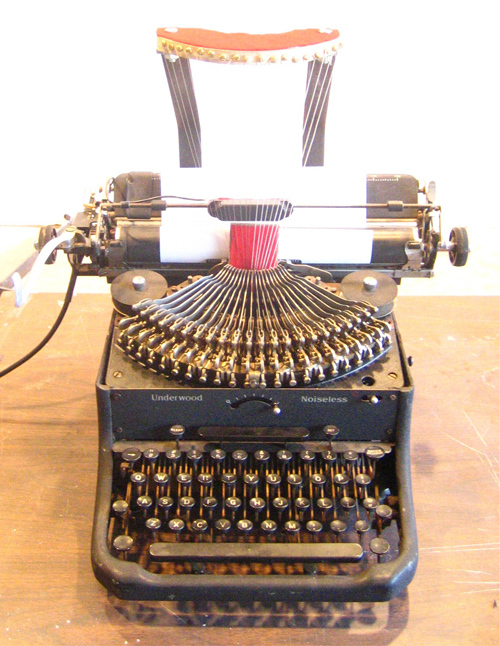 Description: Typewriter modified with strings and amplifier to play music when the keys are struck.